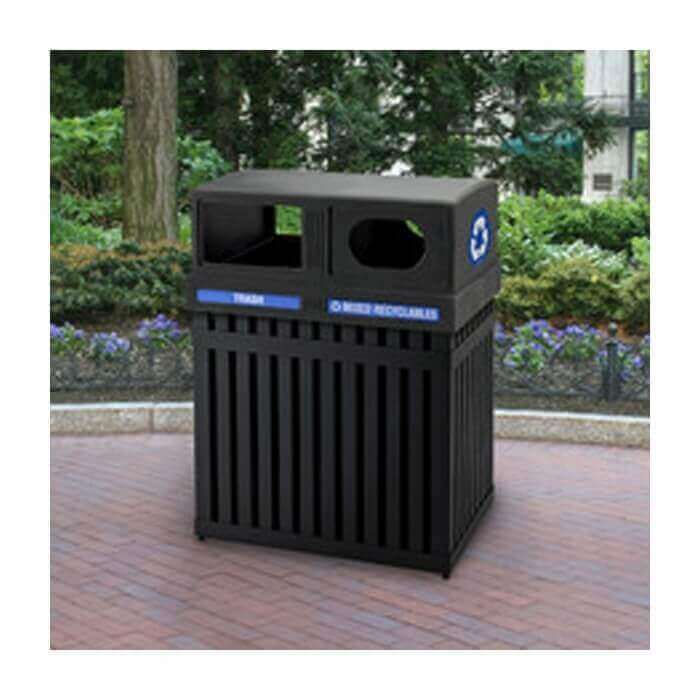 Our 50-gallon Arch Tec commercial rectangular steel trash receptacle with double-sided lid makes a great addition to parks, shopping malls, and city streets. Featuring two 25-gallon receptacles conjoined to create an effective recycling center. Constructed out of heavy gauge vertical steel rails with a protective black powder-coated finish, the base is extremely durable, fireproof, and weather resistant providing many long years of hassle free service. The double-sided lid is made of polyethylene and easily lifts off to remove the collected contents. Features secure lid cables that join the tops to the base. 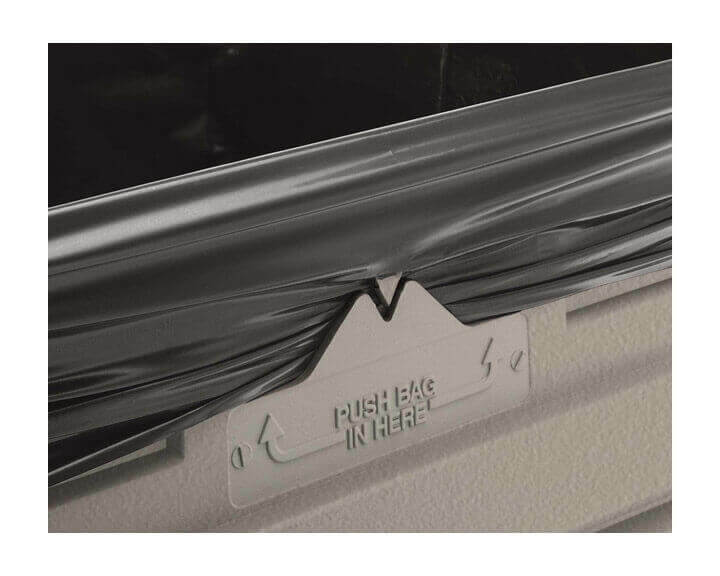 Comes with two removable galvanized black powder-coated liner with built-in handles and patented Grab Bag system. Located at the bottom of the unit is a secure Z-bracket anchoring system used to plant the receptacle in place. Includes a set of blue and white decals to clearly identify your recycling program requirements: Plastic bottles, aluminum, organic, bottles and cans, mixed recyclables, landfill, trash, and two recycle logos. 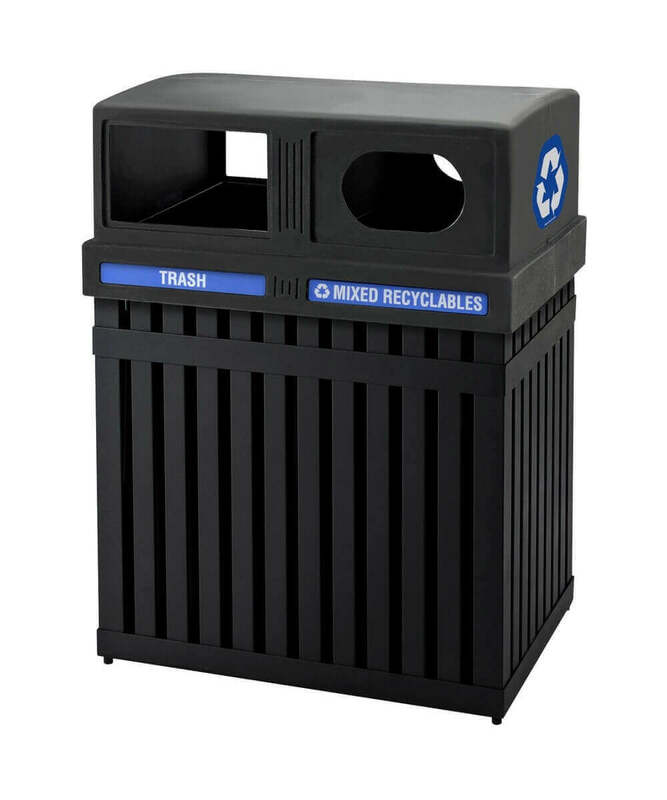 The double 25-gallon trash receptacle is supported by our 1-year commercial warranty. • Dimension: L 21.5" x W 29.75" x H 39.5"